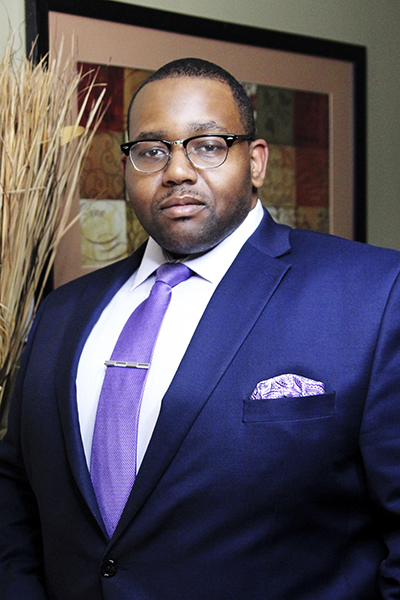 Before he was director of risk and claims management for Illinois-based Silver Cross Hospital, Anthony Wilson spent nearly a decade as a registered nurse at Northwestern Memorial Hospital in downtown Chicago. Much of his time was spent in the critical care unit, where he cared for all manner of patients. One patient in particular, a lawyer, established a rapport with Wilson at a time when he was mulling over what direction to take his healthcare career next. “Have you thought about law? Why don’t you give law a chance?” she said to him. Inspired by this suggestion, Wilson started spearheading risk management initiatives in the unit, forming relationships with risk managers in the hospital in the process. He then went to law school. Now, at Silver Cross, Wilson leans hard on both his nursing and legal experience to expand the organization’s risk management program and work toward their self-stated goal of “zero harm” done throughout the organization. In the healthcare arena, practical experience is at a premium. Wilson, with his years of work on multiple sides of patient care, understands the pressures and challenges that come with risk management in such a large hospital system. Not only does he frequently call on his hands-on experience as a registered nurse, Wilson worked for a few different plaintiff firms during his early law career, learning the ins and outs of medical malpractice law in great depth. “I got a real feel for how law interacted with healthcare,” Wilson says. After making the move to law, Wilson started work at a small boutique firm that dealt with everything from automobile accidents to contract work, estate law, and more. “I started to get a sense of how everything fits together—from defense attorneys to insurance coverage, third-party service administrators, all of it,” he says. From there, he spent time as a risk manager for Elmhurst Memorial Hospital, where he handled a hybrid of claims and clinical risk concerns. Then he moved on to Rush University Medical Center, which needed an attorney who could handle risk- and claims-related issues, as well as legal issues and medical ethical issues, he says. Given the breadth and depth of his expertise in healthcare law, Wilson feels especially prepared for the wide-ranging work he does at Silver Cross. Every day brings a new obstacle to overcome, he says. “No day is the same. Even if I plan out my day, there’s always something different,” he admits. But Wilson feels his experience has equipped him with the perfect balance of knowledge, skill, and know-how to navigate the wide variety of issues he deals with in his role. Take, for example, end-of-life issues in which families want to provide every single option for their family member. Wilson’s work has to find the ethical line between honoring the family’s wishes and doing what’s best for the patient. The world of healthcare risk management is complicated, says Wilson—it’s a highly litigious environment that makes protecting hospitals from claims especially challenging. There are six-figure verdicts at stake at times, Wilson notes, which necessitates the expansion of Silver Cross’s risk management program to match the facility’s own steady growth from a two-hundred-bed hospital to one with three hundred beds and growing. Among those efforts to lower risk and improve performance are the implementation of a clinical risk reporting system throughout Silver Cross. This system allows employees to write reports and actively participate in identifying issues or concerns in the hospital. Reporting is encouraged and nonpunitive, allowing frontline users to have a voice and address problems before they start. By working to recognize problems like misplaced drugs or unreported patient allergies and building processes to prevent them in the future, Wilson strives to build a safer future at Silver Cross. With the help of this reporting system and other initiatives, Wilson is set to continue the work he has spent decades doing on all sides of the healthcare equation. By protecting Silver Cross from litigation risk and crafting better processes across the board, he hopes to help build a hospital group people can trust to deliver quality care.